Southern Africa’s Khoe-San people are successors of the earliest genetic split found in living humans, according to a study by an international team of scientists. They found that the diversification event happened around 100,000 years ago, way before modern humans migrated from Africa, says researcher Carina Schlebusch of Sweden’s Uppsala University. The Khoe-San people of southern Africa, who speak a language based on clicking sounds, are descendants of the most ancient genetic split found yet in living humans, finds an international group of scientists. The results also reveal some of the evolutionary changes that helped give rise to modern humanity. Anatomically modern humans (us), evolved about 200,000 years ago in Africa. Differences between people living today and our evolutionary relatives include much less pronounced eyebrow ridges and larger brains. Much remains uncertain about how modern humans originated in Africa’s cradle of humanity. For instance, researchers had long thought humans arose in eastern Africa, but recent studies hint at roots in southern Africa. To help uncover the origins of humanity, scientists analyzed genetic variations across 220 individuals from 11 different populations in southern Africa to explore their relationships and commonalities. Approximately 2.3 million DNA variations were analyzed per person. The investigators found the earliest diversification event in the history of all humans occurred about 100,000 years ago. That is well before modern humans migrated out of Africa and about twice as old as the divergences of central African Pygmies and East African hunter-gatherers and from other African groups, said researcher Carina Schlebusch at Uppsala University in Sweden. The descendants of this split are the Khoe-San people, the two hunter-gatherer ethnic groups who are known for speaking with clicks and share many other traits. Historically, the Khoe were pastoralists, employing domesticated sheep and cattle, while the San were hunter-gatherers. It remains uncertain what exactly made the Khoe-San diverge and become genetically isolated from other African groups.Still, “the African continent is large, and there are geographic barriers to gene flow,”researcher Mattias Jakobsson, also of Uppsala University, told LiveScience. The scientists aren’t sure the purposes of the genetic variations that set the Khoe-San apart. The extent to which each gene variation shapes what people are like physically “is very, very hard to understand at this stage,” researcher Himla Soodyall at the University of the Witwatersrand in South Africa told LiveScience. The researchers also identified genetic variations that emerged before this split between the Khoe-San and other groups, adaptations linked to the rise of modern humans as a whole. These appear linked with skeletal development, such as bone and cartilage growth, as well as immune system and brain cell function. Instead of pinpointing a single location from which modern humans arose, the genetic analysis revealed “different parts of Africa show up as potentially being the origin of anatomically modern humans,” Jakobsson said. That suggests many different groups contributed to the gene pool “that then later on became anatomically modern humans,” he explained. The research also yielded insights on how pastoralism first spread to southern Africa. Among the Nama, a pastoralist Khoe group, the scientists found a small but very distinct genetic component that is shared with east Africans — for instance, the cattle-herding Maasai. “We postulate that this east African component was introduced by east African groups that brought pastoralist practices to southern Africa,” Schlebusch said. In addition, the northern San populations differed from the southern San in terms of their immune systems. “We know the southern San populations had more contact with Bantu-speaking individuals and also incoming colonists that colonized South Africa in the 1600s, so it might be that the southern San populations were exposed to more novel diseases than northern San populations which were more isolated,” Schlebusch said. The scientists detailed their findings online Sept. 20 in the journal Science. The rest of this article surveys and explores various motifs found in Khoisan religion and myths that could possibly have travelled with early ancestors migrating out of Africa to the rest of the world, forming elements or foundational mythological components, thereby shaping the broad ancient mythological systems and worldviews in various regions and civilizations of the world. Milky way as a River concept in Asia may have started with Australian aborigines , working its way northwards – through China, and the rest of East Asia, including Japan … In the Egyptian, Greek and Roman, milk and cow related motifs dominate and define the Milky Way (see Milky Way (Wikipedia)). Many Khoisan peoples believe in a supreme being who presides over daily life and controls elements of the environment. In some Khoisan belief systems, this god is worshiped through rituals or small sacrifices. A second, evil deity brings illness and misfortune to earth. This dualism between good and evil pervades other areas of Khoisan thought about the nature of the universe. Some Khoisan belief systems maintain that a person should never attempt to communicate with the beneficent deity, for fear of provoking his evil counterpart, and some believe that spiritual beings simply ignore humanity most of the time. Traditional Khoisan religion also included numerous mythic tales of gods and ancestor-heroes, whose lives provided examples of ways to cope with social conflicts and personal problems. Also important was the use of dance and altered states of consciousness to gain knowledge for healing an individual or remedying a social evil. Healing dances are still among the most widely practiced religious rituals in South Africa, even in the 1990s, and are used in some African Independent churches to heal the sick or eradicate evil. Kaang was provoked by the disobedience of the first men that he made. So he sent to the earth both destruction and death, removing his own abode into the top of the sky. Mankind were ungrateful in spite of the presence of his own sons, Cogaz and Gewi. These divinities had descended to become chiefs; they made digging sticks with sharp stone points and showed men how to dig with them for roots. Kaang’s daughter married a snake, and henceforth the snakes were called ‘Kaang’s people’. The adventures and exploits of Kaang form the basic cycle of Bushman mythology. Once he was eaten by an ogre, who then vomited him up. On another occasion he was killed by thorns; the ants picked his bones clean, but this dying and rising god reassembled the skeleton and resurrected himself. The moon, say the Bushmen, Kaang created from an old shoe. The principal enemy of the creator deity is Gauna, or Gawa, or Gawama, the leader of the spirits of the dead. Though weaker than his rival, Gauna seeks to disrupt his creation and harass the lives of men and animals. 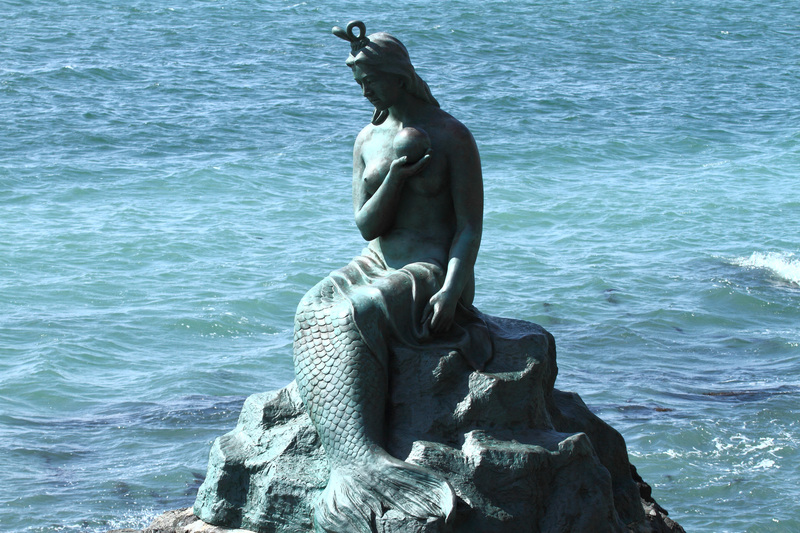 The origin of this antagonistic deity may well have been the pantheon of an enemy people. But the Bushmen dead themselves also play a conspicuously evil part in the affairs of the world. Ghosts dwell in a dim nether world from which they wish to escape. Like many religions, at the center of the Khoisan religion is the belief in a supreme God, known as Tsui, Giab, gangwan!an!a (big big god). He is responsible for life where he alone causes the sun to rise and the rain to fall. The opposer of this “good god” who lives in the east is an evil one who lives in the west, known as Gaunab or gangwas matse (small god). This “evil god” uses his superhuman power to cause sickness, misfortune, and death. This coexistence of good and evil is combined in the personality of Kaggen or cagn. Kaggen is represented by an eland, an animal created by and special to Kaggen (picture of a live eland, right, and San rock paintings of elands, left). Many tales recount a story of the Kaggen trying to trick hunters to help the eland escape. There are many differing Khoisan beliefs on death. Some believe that at death, a person’s spirit ascends into the sky and becomes a star. Others believe that the sight of a shooting star means death is occurring in the human community. Still others believe that a hole in the bowels of the earth serves as the destination of dead people and animals. However, others believe the dead’s final destination is the great God’s house in the sky. [Ed. note: a person’s spirit ascending to the sky and star is a characteristic belief system of East Asia, including early Japan. Japan: late Buddhist imagery Myoken and dead ancestor souls go to take spot in sky openings beside North Pole. The idea of stars as embodiments of persons/spirits/living creatures is a common feature among American natives, and widespread in Australia, Oceania, Indo-Pacific Asia. The belief in stars as openings in the firmament is also known to Miao tribes(SEA); South China; Borneo, and to Malay, Kayan, Mentawei and Klemantan peoples. The image of a particular star Polaris as an opening through which souls penetrate to the Upper World is also pervasive among Estonians, Mari, Komi, Nenets, Nganasans, Khanty, Kets, Yakuts, Evenes, Negidals, and among Central Yupiq, Inupiat, Mackenzie Delta, Netsilik and Iglulik Eskimo; and maybe Chukchi and Kamchadal. Source reading. The Khoisan idea of a hole in the bowels of the earth is echoed in the subterranean Underworld belief systems of the Middle East, Mesopotamia and Proto-Indo-European civilizations as well as Siberian-Eurasian steppelands, while the Khoi-san’s idea of great God’s house in the sky recalls the semitic cabala’s Seven Palaces or Heavenly Mansions abode of the saints (Netzach), and the biblical motif of “In my Father’s house there are many rooms” and Islamic Dar al-jalal or House of Glory(Godwin’s Cabalistic Encyclopedia: A Complete Guide to Cabalistic Magick, by David Godwin, Aleister Crowley), as well as the Chinese astronomical zodiac and constellation grouping of 28 mansions in the sky (and corollary concept of the spatial idea of the stars or “spaces” around them being the heavenly abode of emperors and other souls). In Western astrology, lunar mansions are grouped together with each zodiac sign covers 2-3 mansions , the Jyotiṣa astrological Nakshatras of Hindu culture, the Arabic manzils or Mansions of the Moon, and the 36 decans of Egyptian astronomy have used the lunar mansion system. The zodiac is divided into 28 segments according to the elliptical path and position of the moon as charted relative to fixed stars – one for each day of the lunar month which is 27.3 days long. The origin of the lunar mansion concept is attributed to Babylonian astronomy, with the Hellenistic world and Vedic India inheriting this system. The Chinese zodiac travelled west with the Huns, nomadic people whose original homeland was northern China and Mongolia. During their westward migration, some of them settled in southeastern Europe, and became a component of the Hungarians populations. The Huns, in their travels, are thought to have also have brought their method of timekeeping to Bulgaria and the striking resemblance of the Bulgarian calendar to the Chinese zodiac has been noted by scholars, although there is a developing Karanov Zodiac theory (Richard D. Flavin) that the Sumero-Babylonian constellation-zodiac system may have developed in Bulgaria given the earlier dates c. 4800 BC. and spread from there instead of the other way round. 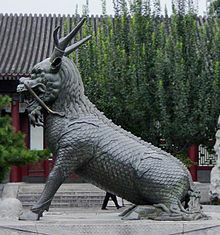 Wikipedia mentions that: The European Huns used the Chinese Zodiac complete with “dragon”, “pig”. This common Chinese-Turkic Zodiac was in use in Balkan Bulgaria well into the Bulgars’ adoption of Slavic language and Orthodox Christianity. Even though there are many different views on death, the Khoisan’s agree that the dead contain to influence the living greatly. Most Khoisan communities believe that Eibib, the ancestor-hero, controls the earthly fate of individuals. Eibib had many adventures, including his many deaths and resurrections, and these adventures are celebrated in Khoisan folklore. Many graves of Heitsi-Eibib exist in the Khoisan habitat with piles of stones or cairns (a mound of stones erected as a memorial, photo left) that sit beside pathways and at river crossings. Many believers use these sites as places to meditate and to add more stones as offerings for good fortune. The Story Of The Leopard Tortoise. The Children Are Sent To Throw The Sleeping Sun Into The Sky. – may have influenced the development of widespread concepts of solar sky gods or the separation of Sky and Earth brought about by someone “lifting” or “holding” the sky up. Due to the sparse availability of source material on the Khoi-san people and their myths and religious beliefs as well as the great antiquity of the lineages and the great length of time that has ensued since the first ancestral African (and likely Khoi-san ancestors) peoples who migrated out of Africa to reach the rest of the world, we acknowledge possible flaws and difficulties in establishing belief system connections and diffused mythical motifs or other components of Khoi-san beliefs. Given that the Khoikhoi and San Bushmen peoples have dwindled in numbers, Bushmen either became slaves or were forced to work on farms or to pull back into other areas of Southern Africa, we also acknowledge that their their traditional life and beliefs may have changed with increased contact with new European settlers as well as other African populations. As such, it is difficult to rule out the borrowings or adaptations by Khoi-san peoples of mythical or religious motifs or systems that may have come with the back-migrations of populations established outside of Africa.